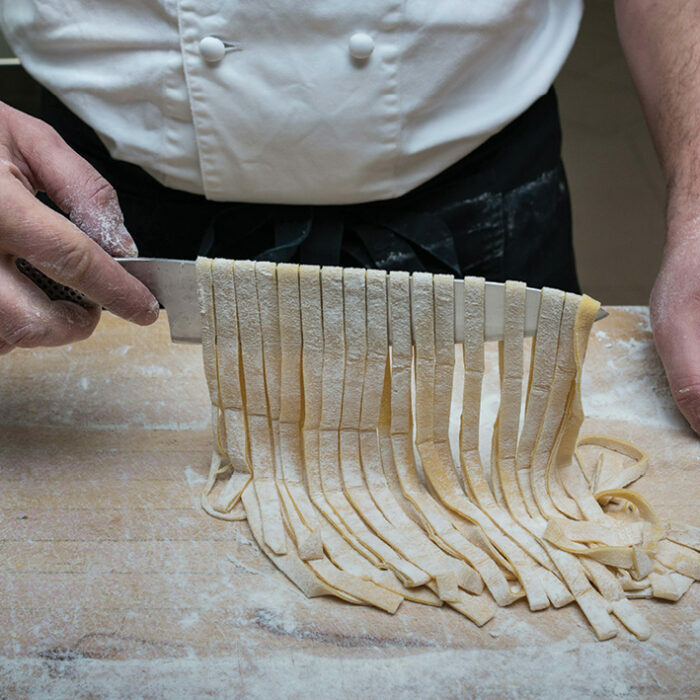 Chef Matteo Carboni offers to meet Saturday morning class guests at the famous Barossa Farmers Market where he will share the history of the market and our suppliers, you will have plenty of time to visit the rest of the market before the class. Cooking classes begin Italian style, with a coffee, then it’s in to the kitchen for 3 hours to prepare a 4 course long Italian lunch. 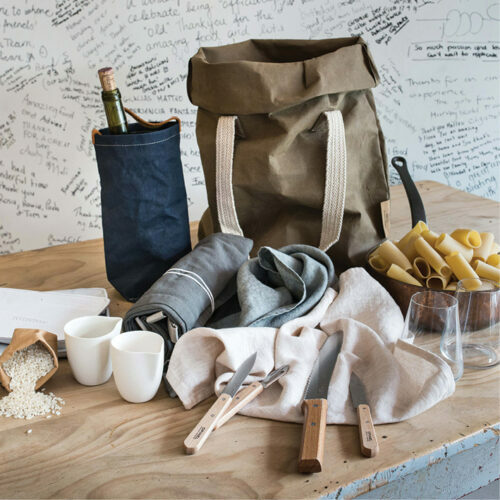 After the class you will enjoy your delicious lunch with a glass of wine and coffee. • Vouchers are emailed as pdf you can print out at home. • Vouchers are valid for 12 months from date of purchase. 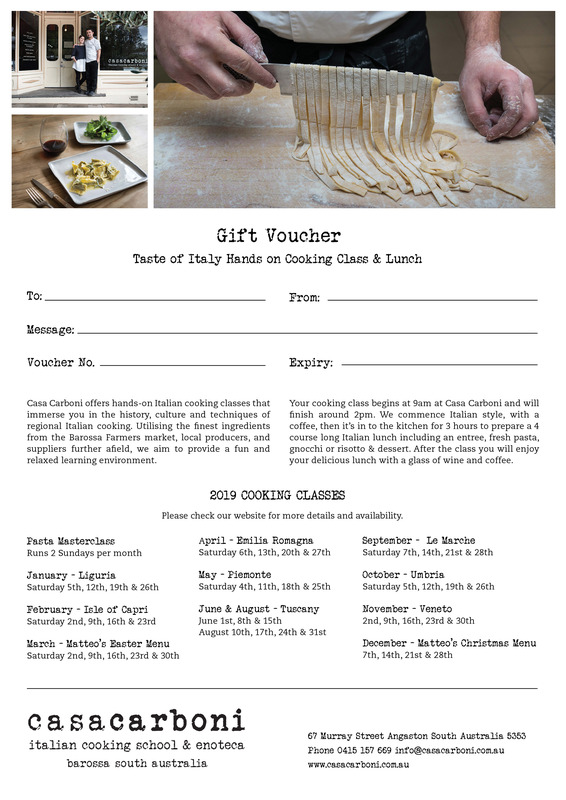 • Vouchers can be used online to book a cooking class.